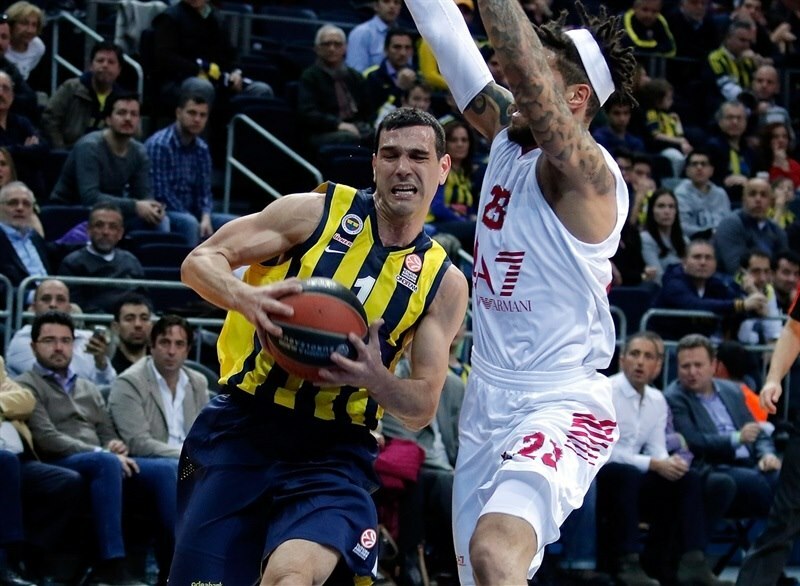 Fenerbahce Ulker routed EA7 Emporio Armani Milan 98-77 on Friday night at Ulker Sports Arena for its ninth straight Turkish Airlines Euroleague victory, which also guaranteed it a spot in the playoffs. 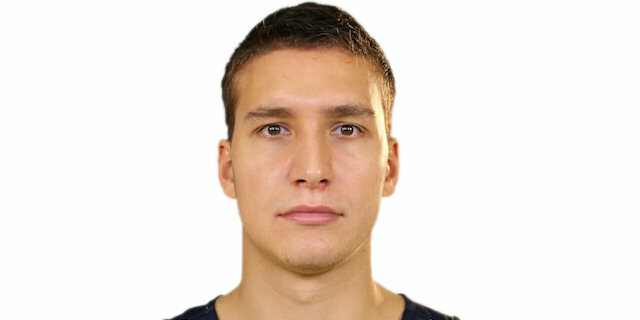 Bogdan Bogdanovic scored 25 points to lead the winners in a game that was close for three quarters. It was tied 61-61 late in the third quarter and the Italian champs only trailed by 6 with six minutes to go, but the hosts finished the game on a 23-8 tear to snag the victory. 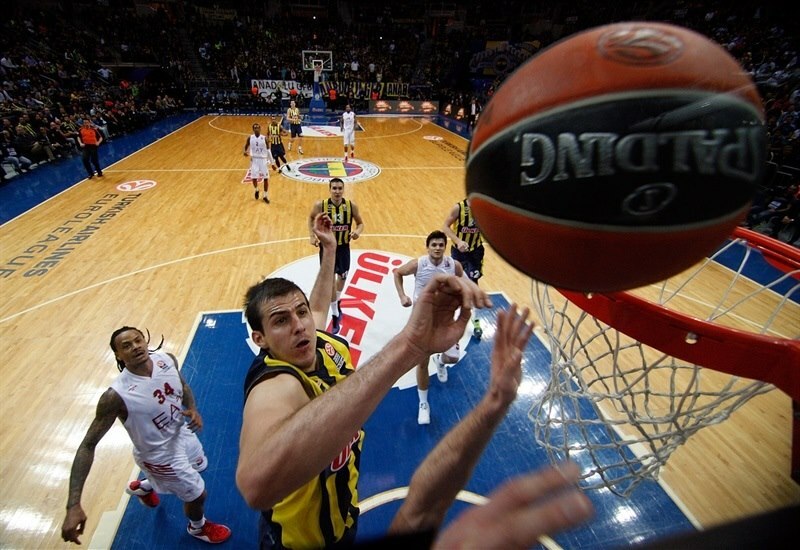 Jan Vesely posted 14 points and 9 rebounds, while Nemnaja Bjelica added 13 points, 9 boards and 6 assists. Oguz Savas and Ricky Hickman each scored 10 for the victors. MarShon Brooks totaled 21 points and 5 assists and Alessandro Gentile scored 19 in defeat. Fenerbahce won the opening tip and got on the scoreboard through Bogdanovic’s short jumper. 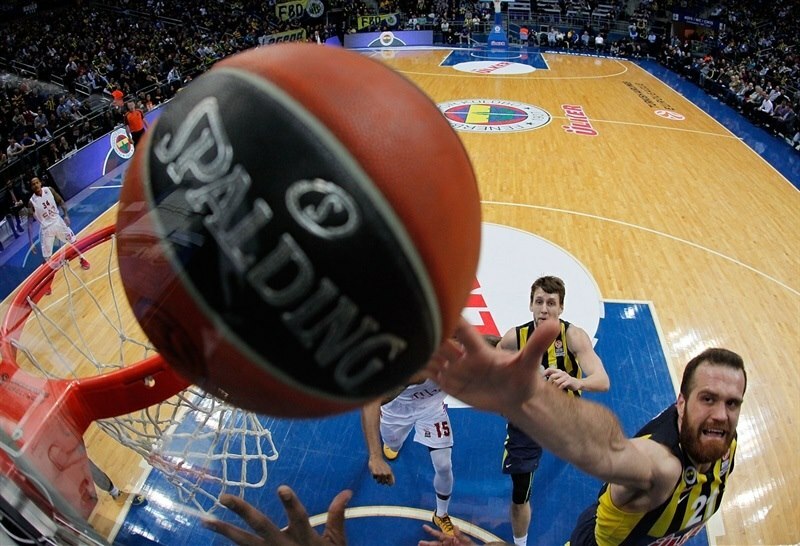 Bjelica found Savas for a slam and then banked in a one-handed shot for a 6-0 Fenerbahce start. Nearly three minutes passed before Samardo Samuels split free throws for the visitors’ first point. The hosts drew three fouls in one possession, after which Brooks came in as the game’s first substitution for Bruno Cerella. Savas’s hook shot made it 9-1. Brooks sank a jumper to end a five-shot Milan possession. 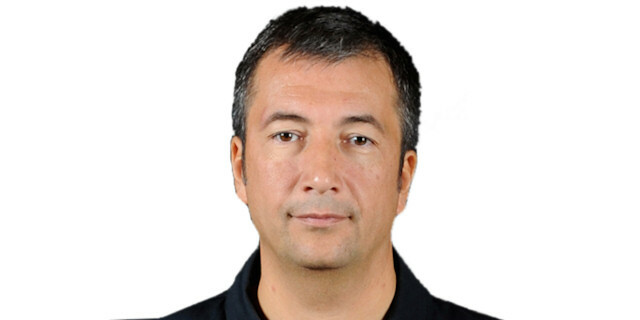 After Bjelica finished a fast break with a layup, Milan Coach Banchi called timeout. Gentile got to the line for 2 points, but Bogdanovic back-to-back threes for the game-s first double-digit lead. Daniel Hackett answered with a three of his own and Gentile sank a jumper to make it 17-10. Bjelica turned an offensive rebound into 2 points from the line. Gentile drove inside for a score, however Vesely countered with a basket-plus-foul to restore a 10-point difference. Samuels scored inside to make it 22-14 after 10 minutes. Hickman drained a three before Gentile sank a pull-up jumper. Brooks lobbed a pass to Samuels for a slam and Brooks took a steal in for a dunk to close the gap to 25-20. Fresh off the bench, Frank Elegar rejected Vesely and triggered a fast break that Gentile finished with an alley-oop slam plus foul. Savas ended the 0-9 Milan run with a scoop shot and then scored again to give the hosts a bit of a cushion. Vesely drew a foul and managed to spin the layup off the glass as the hosts went ahead 33-23. Hackett muscled his way to a basket at the end of the 24-second clock and then Brooks drove for a tough layup. After Hickman split free throws, Hackett scored again off an inbounds play. 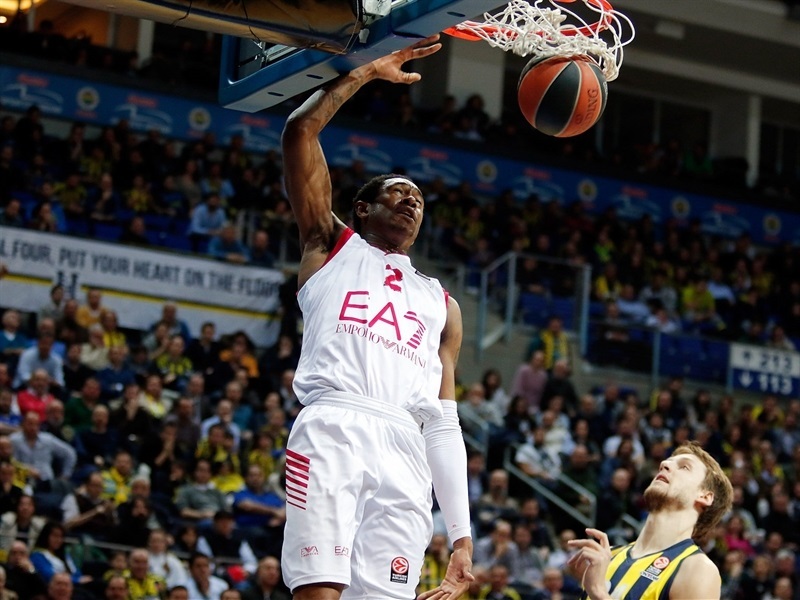 Brooks connected from behind the arc and after a Fenerbahce timeout, David Moss sank a three from the corner to cap a 1-12 run and give Milan its first lead, 34-35. Bogdanovic answered with a mid-range shot, but Milan’s momentum continued as Brooks found Elegar for an alley-oop slam. Nikos Zisis tied the game at 38-38 with free throws. Brooks drove for a layup and Andrew Goudelock got going for the hosts with a baseline floater. After Elegar’s tip-in, Brooks hit a three from the corner. Bogdanovic free throws set the halftime score at 42-45. Samuels rejected Savas a minute into the second half and Brooks finished the play with a layup at the other end. Goudelock and Brooks traded jumpers. Bjelica found a cutting Savas for a layup. The hot shooting continued with a Gentile jumper. Bogdanovic’s layup-plus-foul drew the hosts within 2. Goudelock drained a pull-up jumper to tie the score at 51-51. 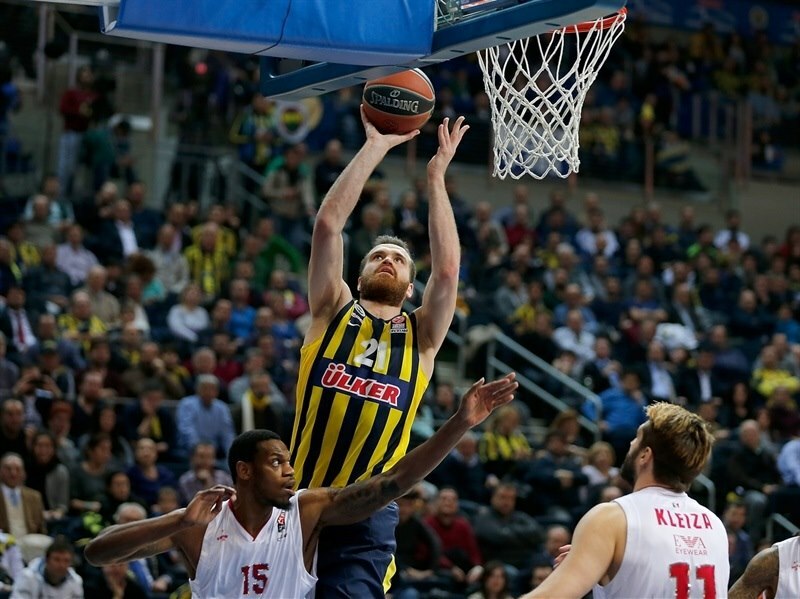 Gentile put Milan back on top with 2 free throws, but Bjelica dished to Semih Erden for a slam. After Hackett split free throws, Hickman gave Fenerbahce its first lead of the half, 55-54, but it proved to be short lived as Brooks drained a wide-open three at the other end. Hackett went out with 4 fouls. 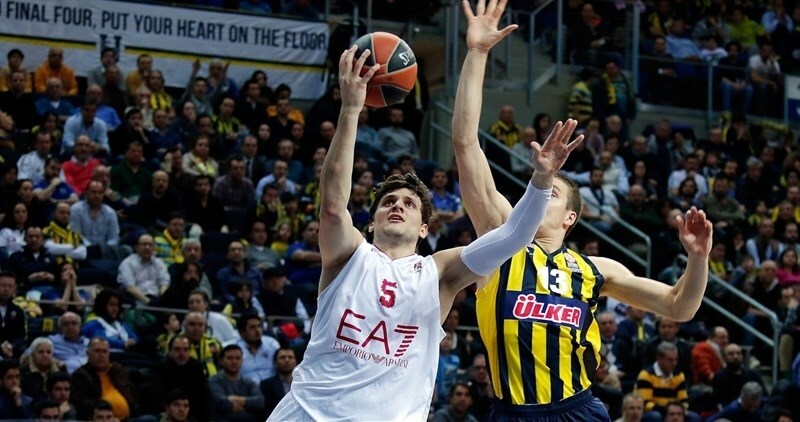 The lead changed hands again through a Bogdanovic jumper at one end and a Nicolo Melli three at the other. Samuels also took a seat with 4 fouls as Erden split the resulting free throws to make it 59-60. 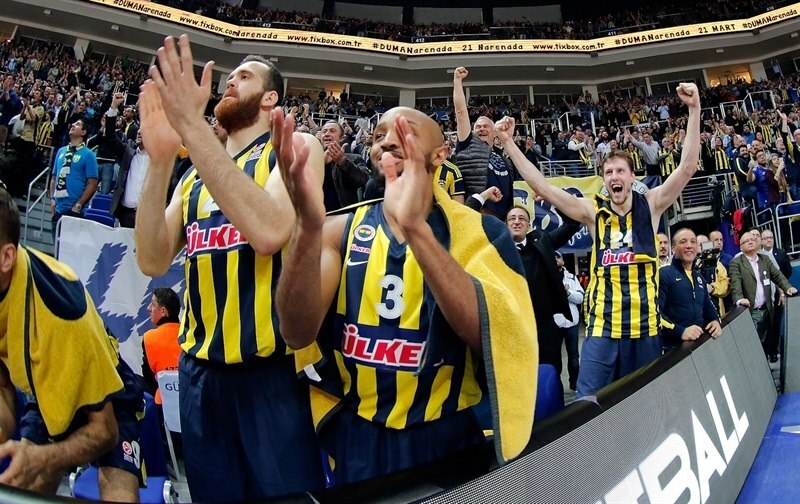 Then Hickman’s free throws pushed Fenerbahce back on top. 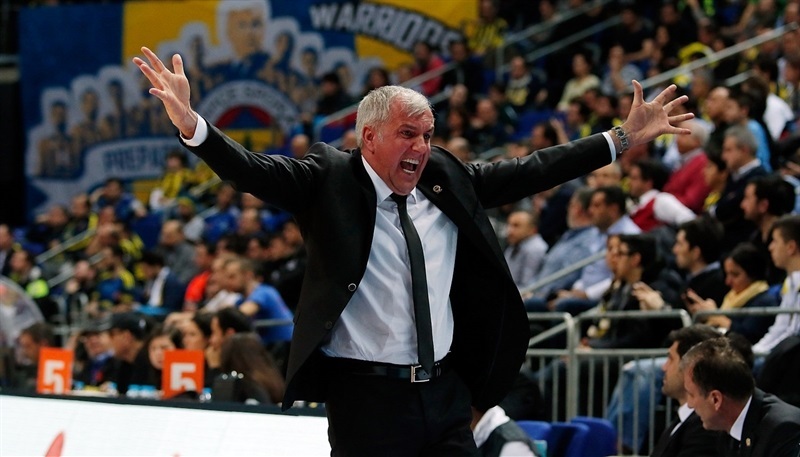 A tough layup by Bogdanovic and Emir Preldzic’s slam after Bjelica’s steal gave the hosts a 65-61 advantage. Bjelica hit a three and a minute later added free throws to cap a 9-0 run. Gentile tried to spark Milan with free throws, but Bjelica found a wide-open Bogdanovic for a three-pointer and a 10-point lead. Linas Kleiza knocked down a three, but Bogdanovic found Vesely for a layup at the other end. Gentile got to the line and split free throws and Kleiza tipped in the miss to make it 75-69. Vesely dunked in a miss at the other end. Preldzic’s layup-and-foul restored a double-digit advantage. Vesely scored in the paint and then sparked a break with a chase-down block that led to a Preldzix layup and an 84-69 cushion. 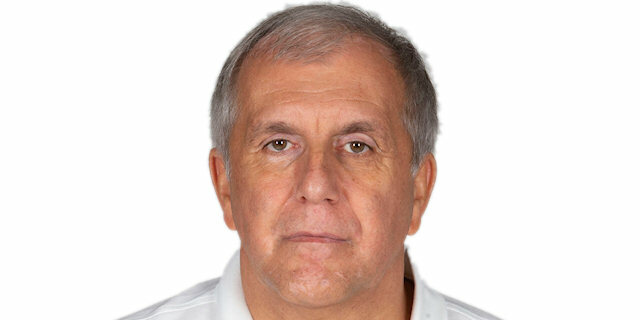 Kleiza knocked down a three, but Vesely scored inside. Samuels scored and was fouled. After he missed the free throw, Kleiza committed an unsportsmanlike foul off the ball and then received a technical foul. Bogdanovic made the resulting 3 free throws and Goudelock put the game out of reach with a three that made it 92-74 with two minutes to go. 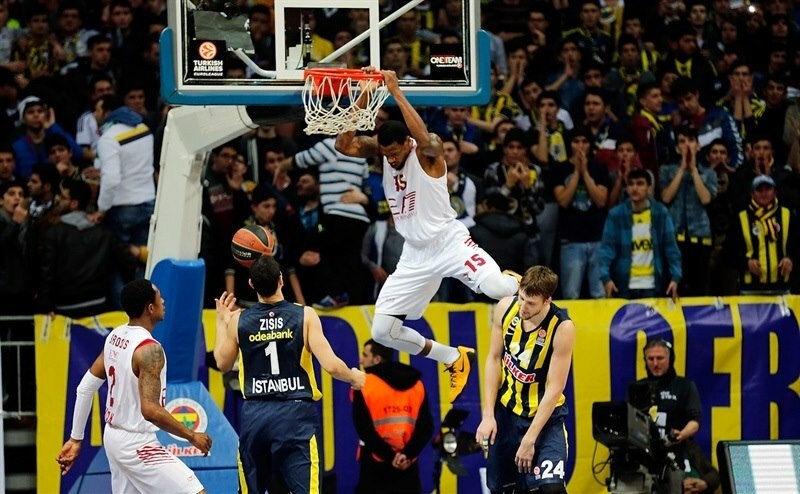 Teenager Omer Yurtseven came on for the final minute and made his only shot to set the final margin at 98-77.